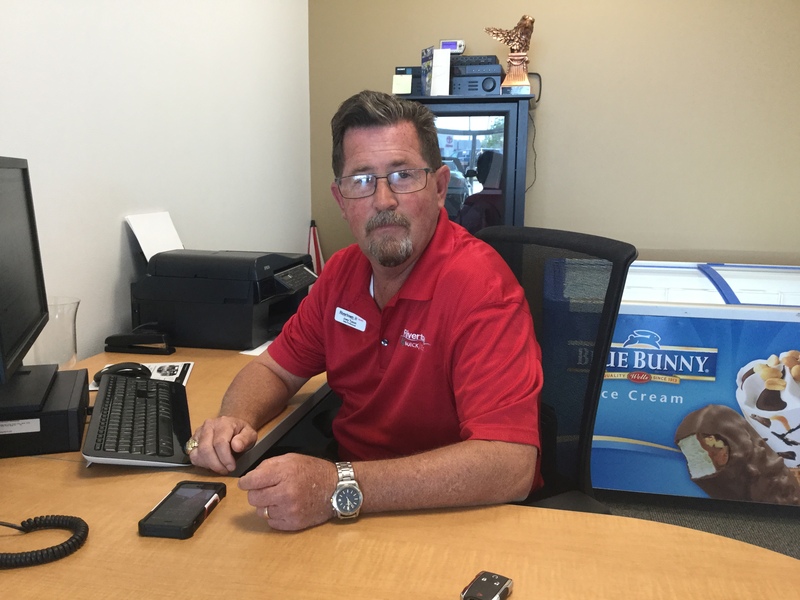 This month, Rivertown Buick GMC is proud to spotlight another of our exceptional team members. Sales Associate Joey Tyson, a native of Dublin, GA, has been working with our team for the past six months and has quickly become a favorite among colleagues and customers alike. Joey says his favorite thing about working at our dealership is the eagerness of the staff to help everyone, customers and fellow employees alike. His favorite customer memory so far was helping a woman whose husband had died make her first-ever car purchase without him. Though she was nervous, Joey was able to help her find just what she needed, and she's been in touch ever since, often stopping by to give him a hug. When asked what his favorite Buick or GMC model is, Joey named the Buick Enclave, saying, "It is luxury at its finest. Everyone is surprised as soon as the test drive starts." As for his own ride, Joey drives a 2008 GMC Sierra 3500HD. When he's not helping customers, you can find Joey cheering on his favorite sports team, the Georgia Bulldogs, spending time with his grandkids, or grabbing a bite to eat at his favorite restaurant, Country's BBQ. We’re grateful to Joey for all he’s done to make Rivertown Buick GMC a dealership where customers are glad to come for the ultimate Buick/GMC experience. If you haven't met him yet, be sure to say hello the next time you visit us; Joey would enjoy having the opportunity to meet you!